What is Sweet Marjoram Oil ? Sweet marjoram essential oil has a wonderfully bright, sweet, nutty and herbaceous aroma that is inspiring to the spirit. 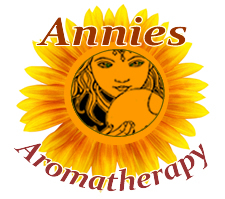 The oil is steam distilled from the flowering plant. 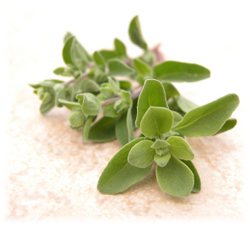 Sweet marjoram has many uses, as it has beneficial properties for the digestive, respiratory, and nervous systems. It is used to help anxiety, headaches, insomnia, and even vertigo. It also benefits muscular aches, strains, and colds or coughs. It blends really well with fennel, lavender, cedarwood, bergamot, basil, cypress, eucalyptus, thyme, peppermint, rosemary, chamomile, and black pepper. For a truly relaxing experience, blend sweet marjoram essential oil, sandalwood, and a sesame carrier oil, into a special warming fragrant massage blend after a bath and before going to bed. Botanical Information - Rituals & History : Sweet marjoram is a small shrub that produces oval greyish leaves and flowers in clusters, usually pick or white. It has a valued place in culinary uses.